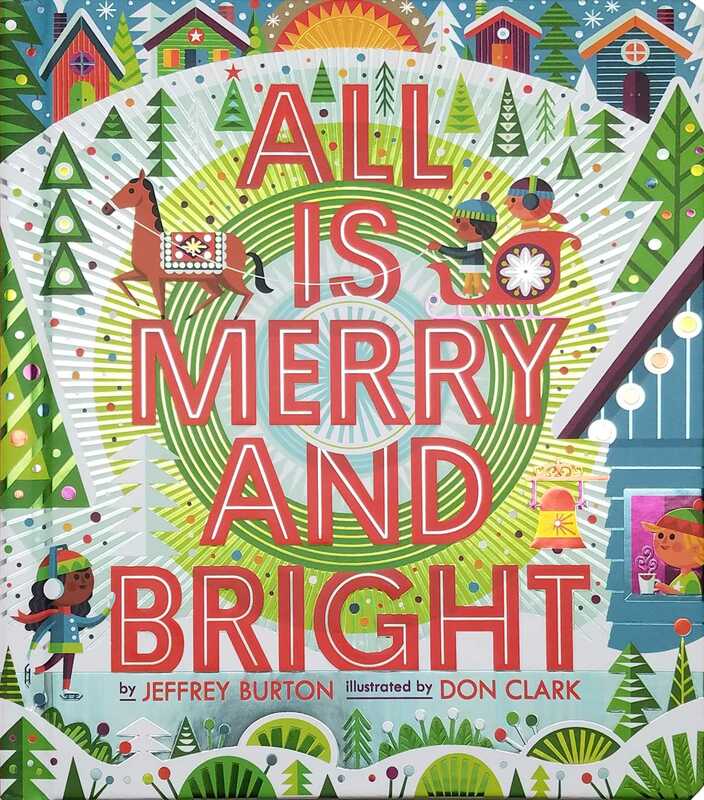 A gorgeous keepsake book that shines with holiday cheer and foil on every spread, All Is Merry and Bright is full of illumination and hope—perfect for the youngest readers in your life. As cheer and good will fill the air, there is an undeniable, joyous feeling that connects the world during the holiday season. With show-stopping foil, embossing, and spot UV on every page, All Is Merry and Bright is an artistic and shimmering board book celebrating the deep sense of happiness and hope that glows as warm and bright as the holiday lights. Don Clark is an artist and cofounder of Invisible Creature, a widely respected and award-winning design studio he runs with his brother based in Seattle, Washington. He has worked with clients such as Target, NASA, LEGO, Wired Magazine, Nike, Adobe, XBox, The New York Times, and musicians including the Foo Fighters, Kendrick Lamar, Chris Cornell, Wolfmother, Alice In Chains, and more. Don’s love for mid-century design and illustration lays the groundwork for Invisible Creature’s aesthetic and curated line of products for both children and adults alike. He lives with his wife and their three children on a ranch thirty minutes southeast of Seattle.